Good news: There are a ton of social media channels you can use to promote your brand. Bad news: It’s painfully time-consuming to redesign images for all of them. Gooder news: We’ve got a tool that will give you design superpowers! Bad design can hurt a brand’s credibility so RelayThat acts as a design explorer—guiding you to the best looking creative options you wouldn’t have time to try or hadn’t even considered. Layouts are tested continuously for engagement and traffic conversion on every channel so that only the best ones make it into the ever-evolving library of designs. This balance of art and tech means your brand will stand out and remain consistent on every channel. To further enhance your designs, you can search over 350,000 photos, icons, and curated backgrounds that you won’t find anywhere else! Everything is 100% copyright-free and can be used for any industry or brand (small businesses, retail, events and conferences, franchises, you name it). Beginners and professionals alike are reaping the rewards of RelayThat. With the ability to remix and resize any layout, designers can keep all of their clients happy by producing tons of images in no time. But there’s only one thing better than unlimited design options: the ability to switch the entire layout library to a completely different brand in one click! To the outside world, this plan costs $1,164 a year. But, inside of Sumo-world, lifetime access is available for just $49! 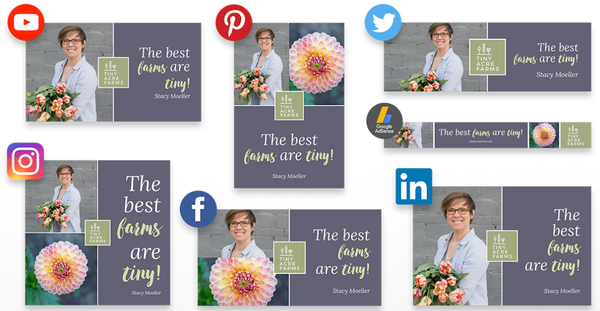 Get images for every social media site now! RelayThat is in a league of its own. Other paid tools require users to have an eye for design to get past the basic templates offered. 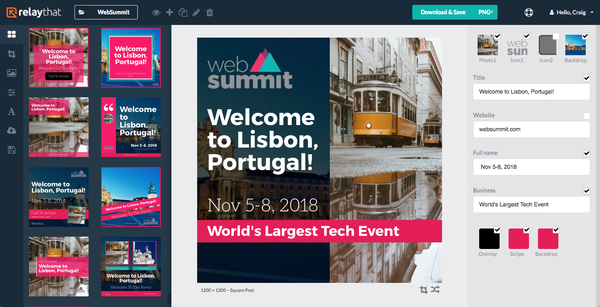 However, RelayThat will help you deliver professional-level results with zero understanding of design concepts, and will provide you with unique assets such as layouts for book promotions, digital device mockups, and layouts that encourage engagement and interest traction from viewers. Start making awesome images now!